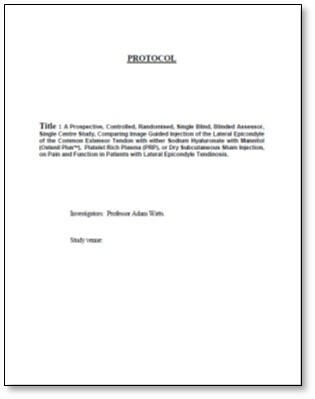 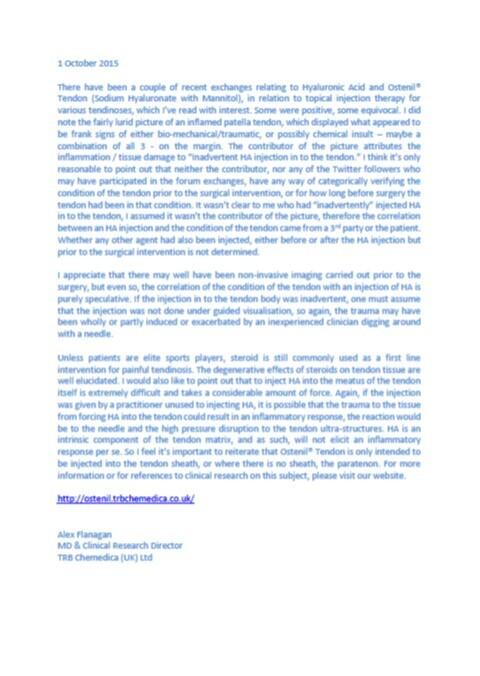 For TENDINOPATHY papers please scroll further down. 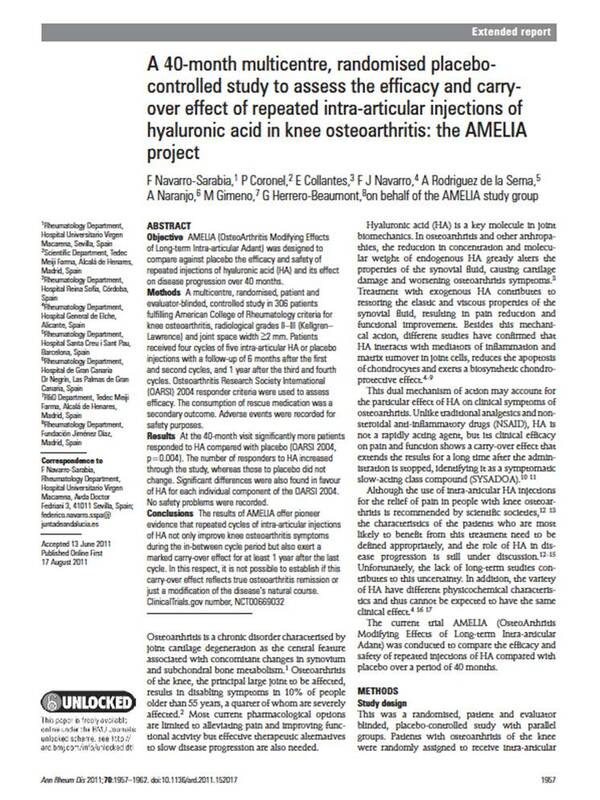 NEW: Maheu E, et al. 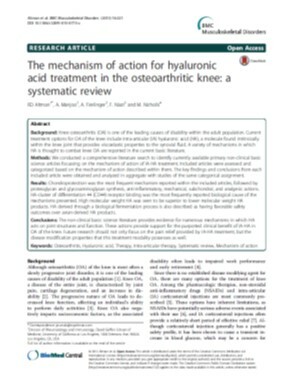 Why we should definitely include intra-articular hyaluronic acid as a therapeutic option in the management of knee osteoarthritis: Results of an extensive critical literature review. 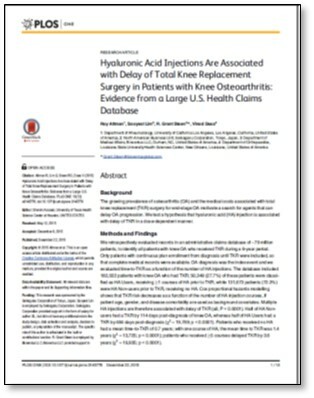 NEW: Dasa V, Lim S, Heeckt P. Real-World Evidence for Safety and Effectiveness of Repeated Courses of Hyaluronic Acid Injections on the Time to Knee Replacement Surgery. 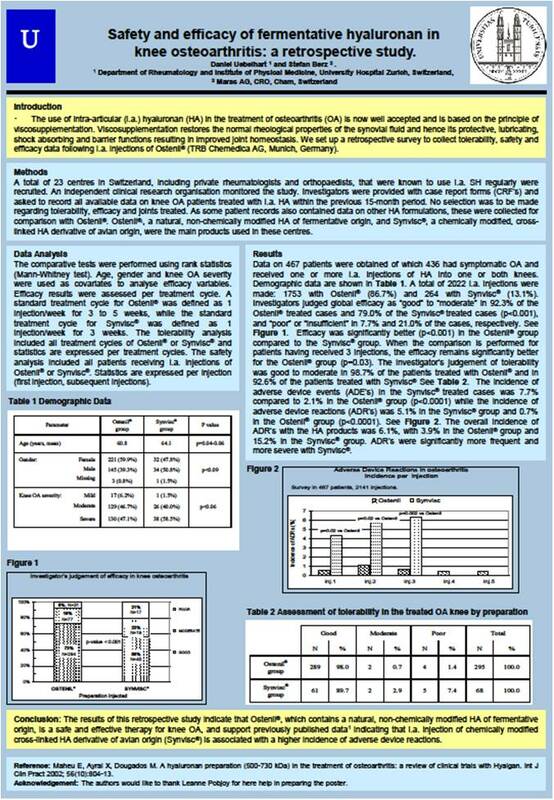 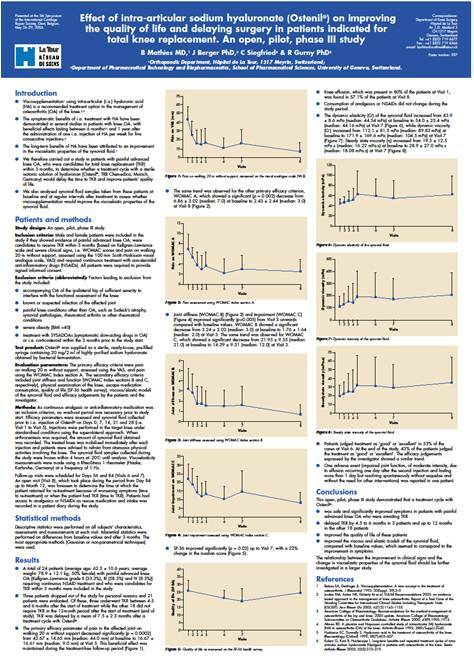 NEW: Vannabouathong C, et al. 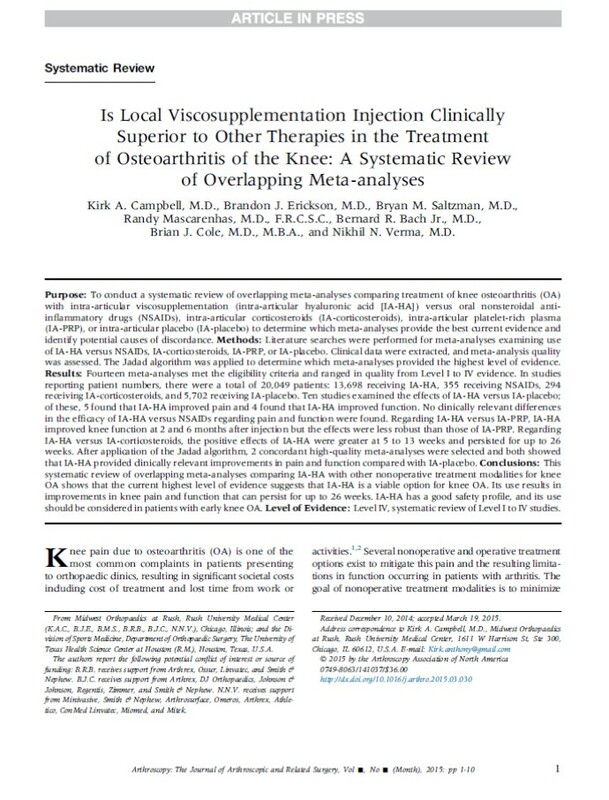 Nonoperative Treatments for Knee Osteoarthritis: An Evaluation of Treatment Characteristics and the Intra-Articular Placebo Effect: A Systematic Review. 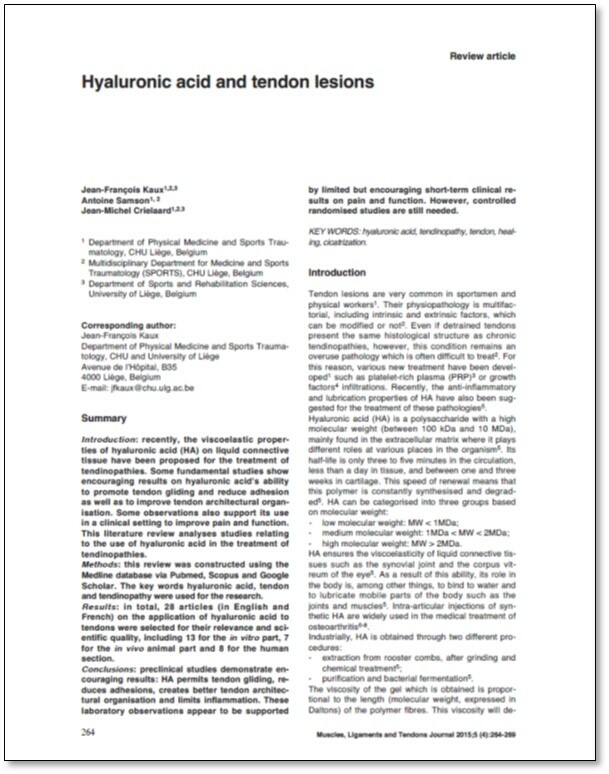 NEW: Salmon JH, et al. 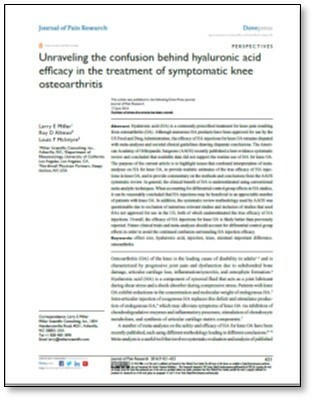 Cost Effectiveness of Intra-Articular Hyaluronic Acid and Disease-Modifying Drugs in Knee Osteoarthritis. 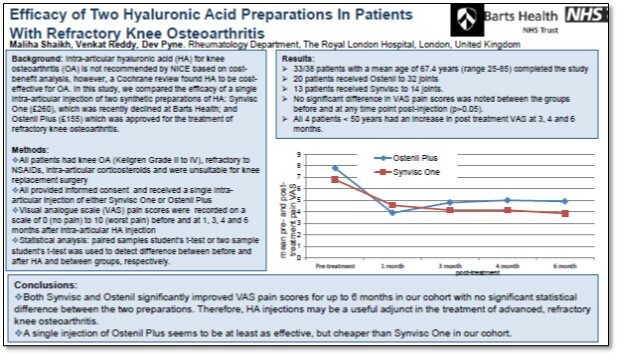 Viscosupplementation, or use of hyaluronan injections, is a very useful, simple and cost-effective treatment for osteoarthritis of the knee. 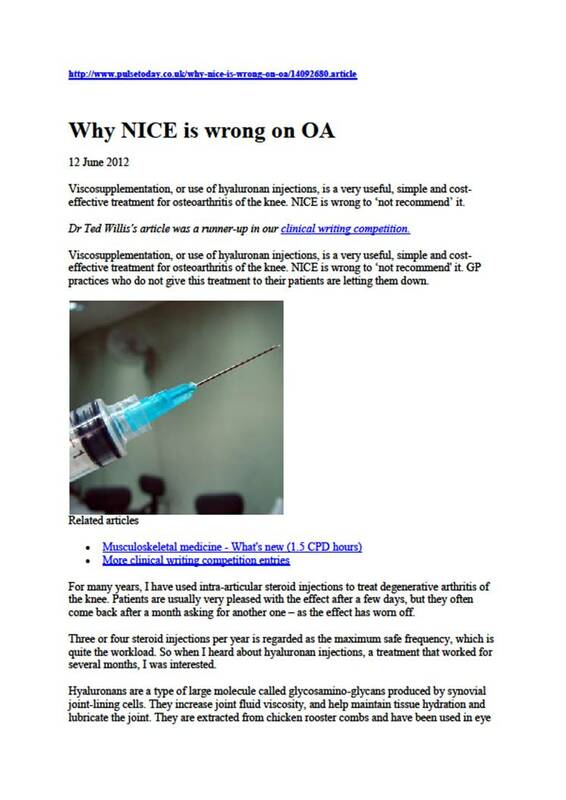 NICE is wrong to 'not recommend' it. 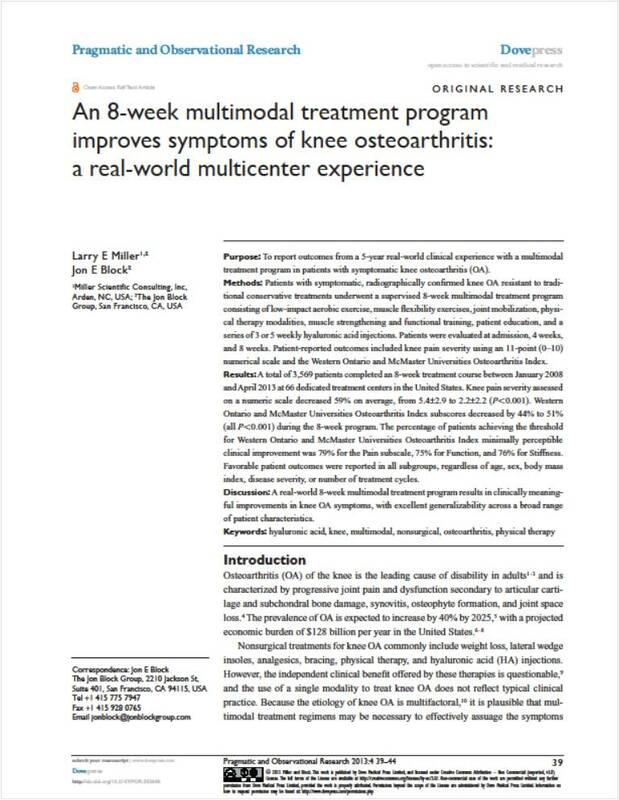 Juni P, et al. 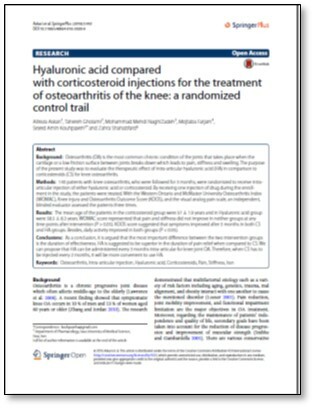 Efficacy and safety of intraarticular hylan or hyaluronic acids for osteoarthritis of the knee: a randomized controlled trial. 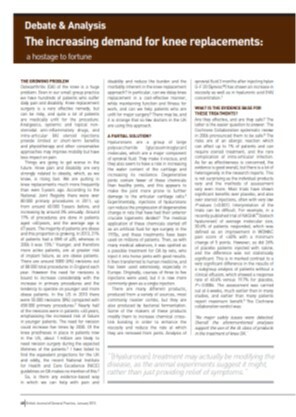 D Uebelhart, et al. 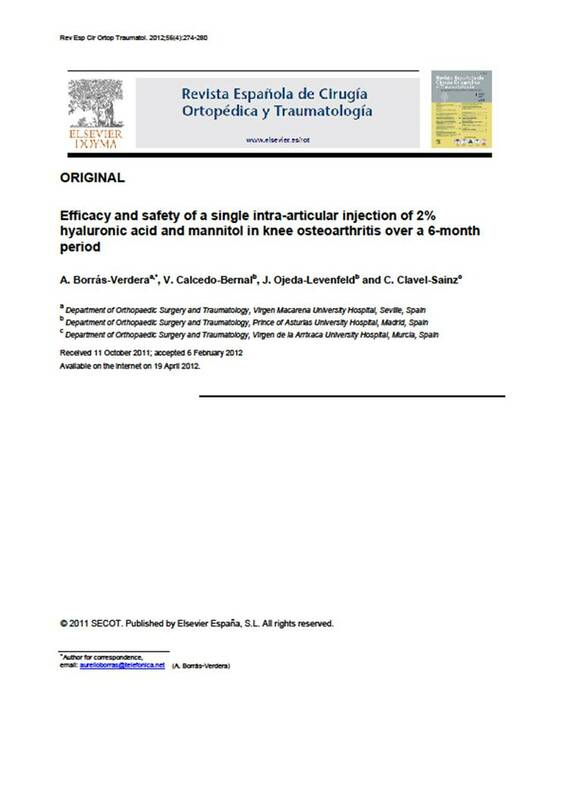 Safety and efficacy of fermentative hyaluronan in knee osteoarthritis: a retrospective study. 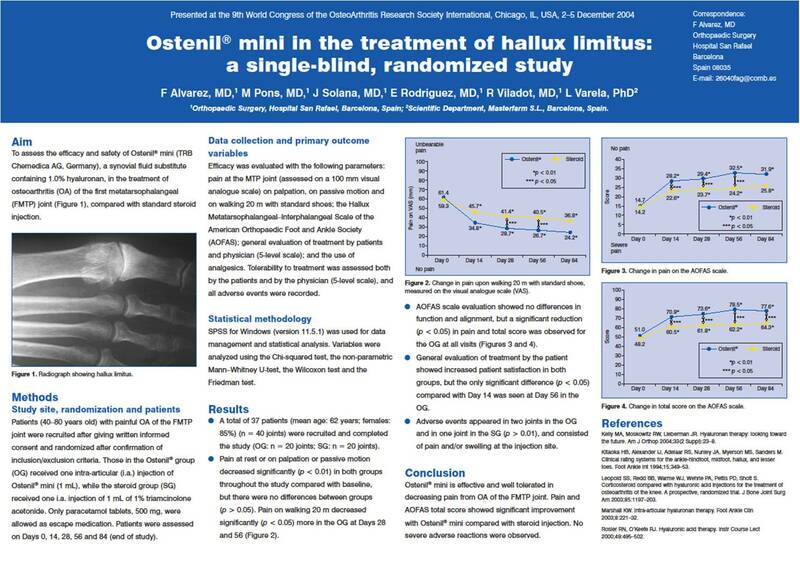 Saito S, et al. 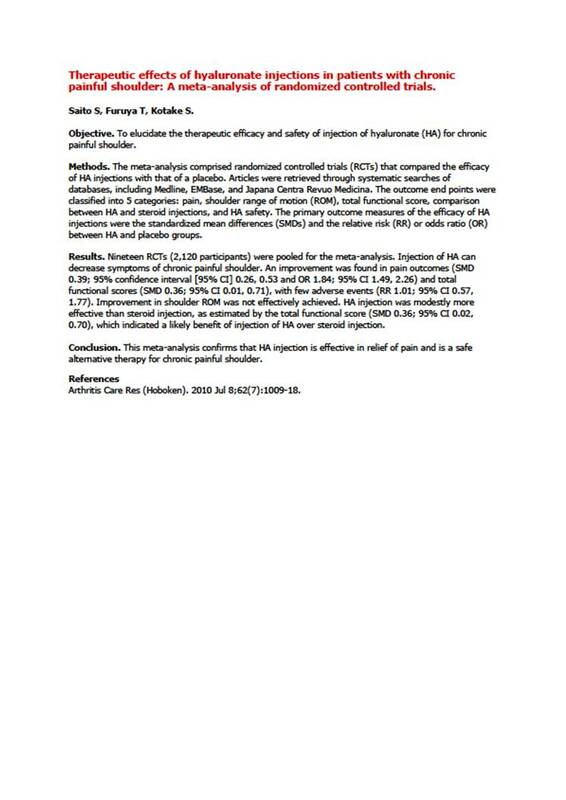 Therapeutic effects of hyaluronate injections in patients with chronic painful shoulder: A meta-analysis of randomized controlled trials. 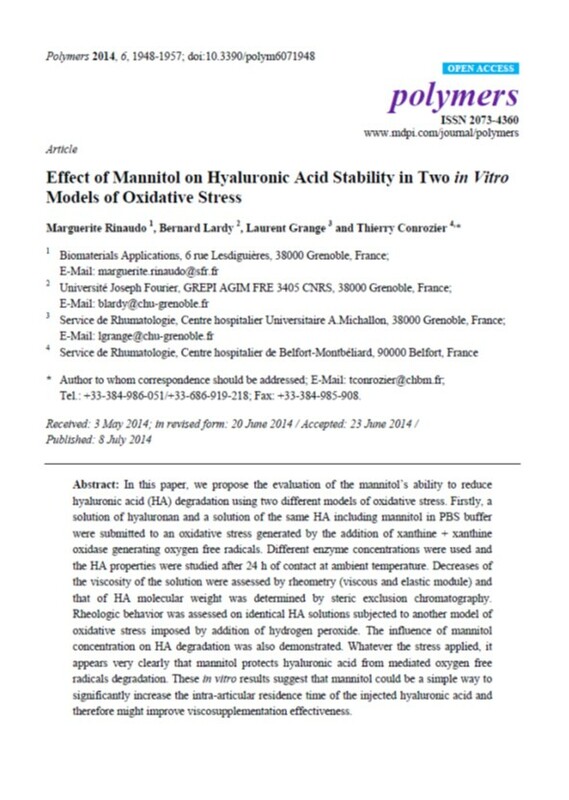 NEW: J Monfort, et al. 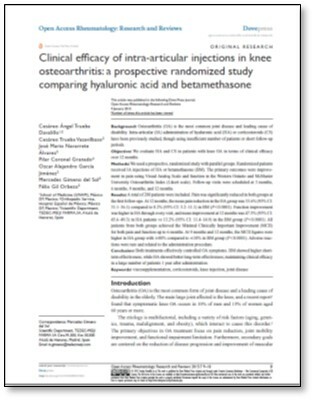 Comparative efficacy of intra-articular hyaluronic acid and corticoid injections in osteoarthritis of the first carpometacarpal joint: results of a 6-month single-masked randomized study. 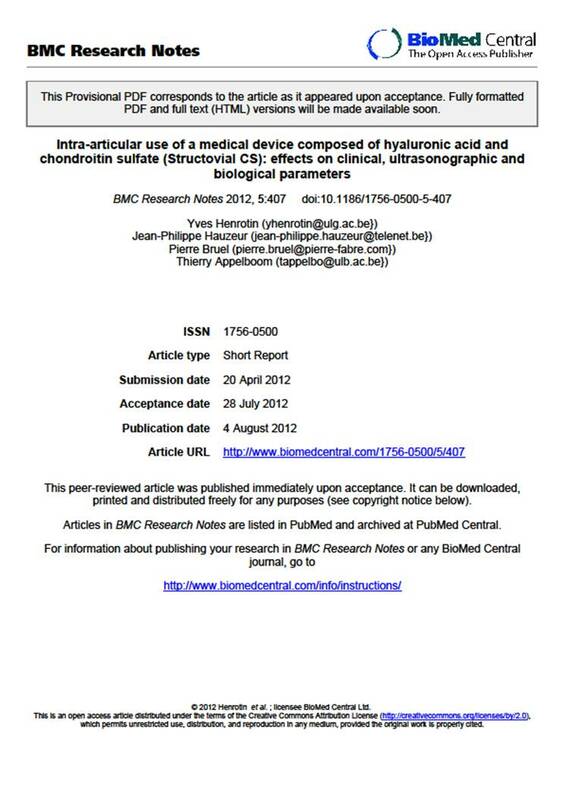 Bahadir C, et al. 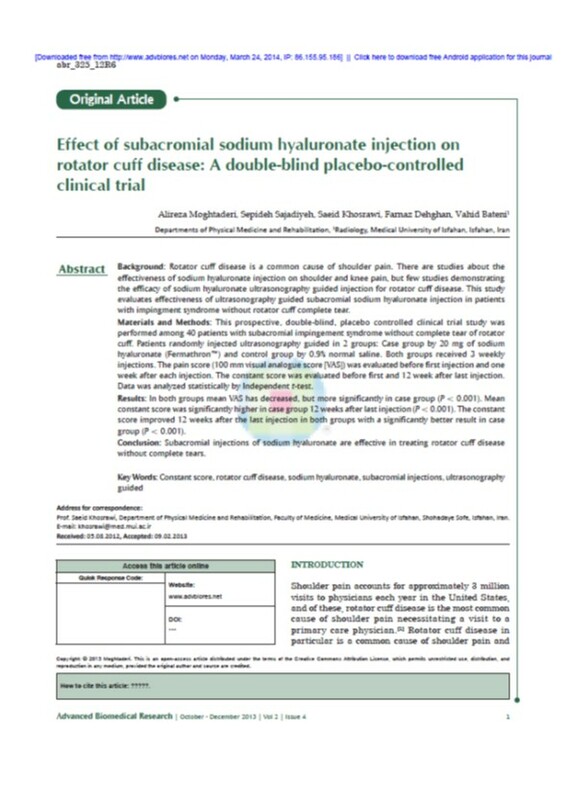 Comparison of therapeutic effects of sodium hyaluronate and corticosteroid injections on trapeziometacarpal joint osteoarthritis. 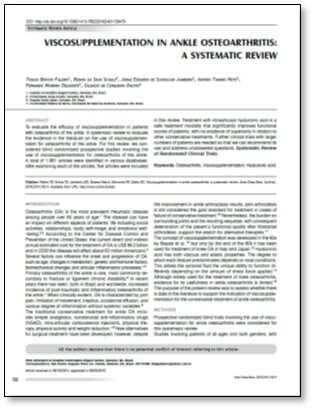 Y T Korkmaz, et al. 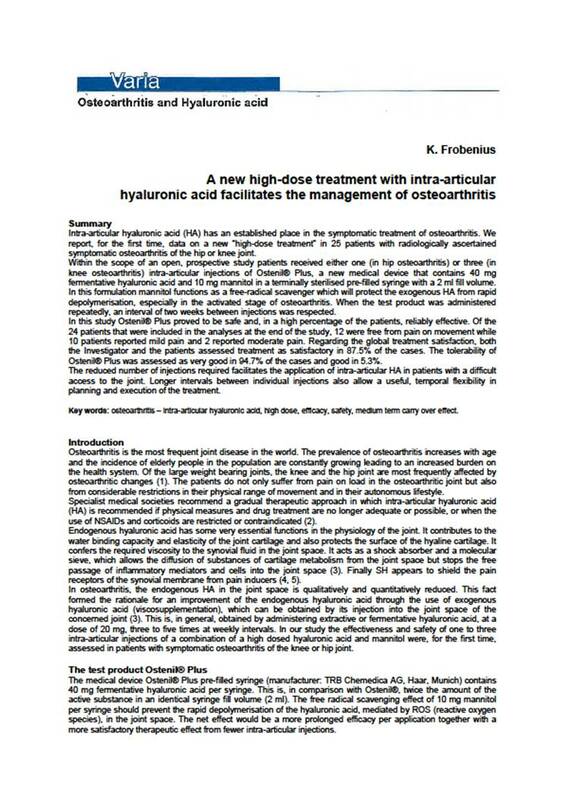 Is Hyaluronic Acid Injection Effective for the Treatment of Temporomandibular Joint Disc Displacement With Reduction? 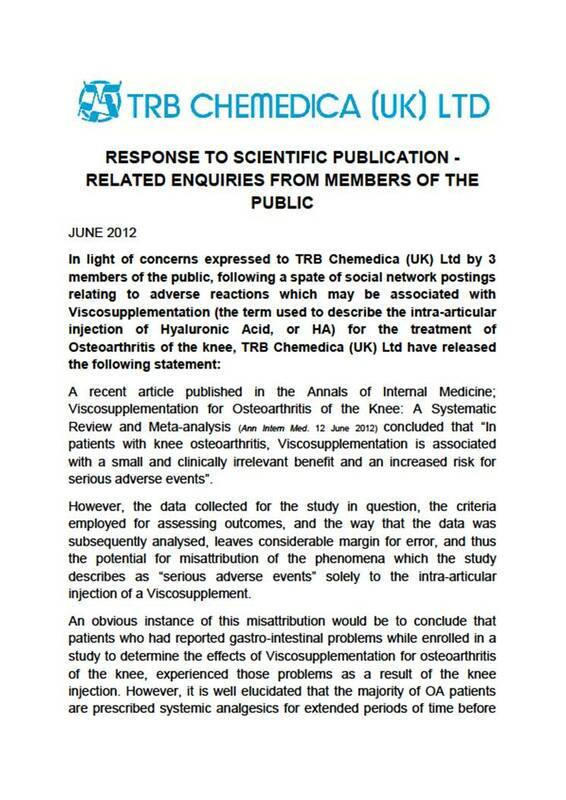 Basterzi Y, et al. 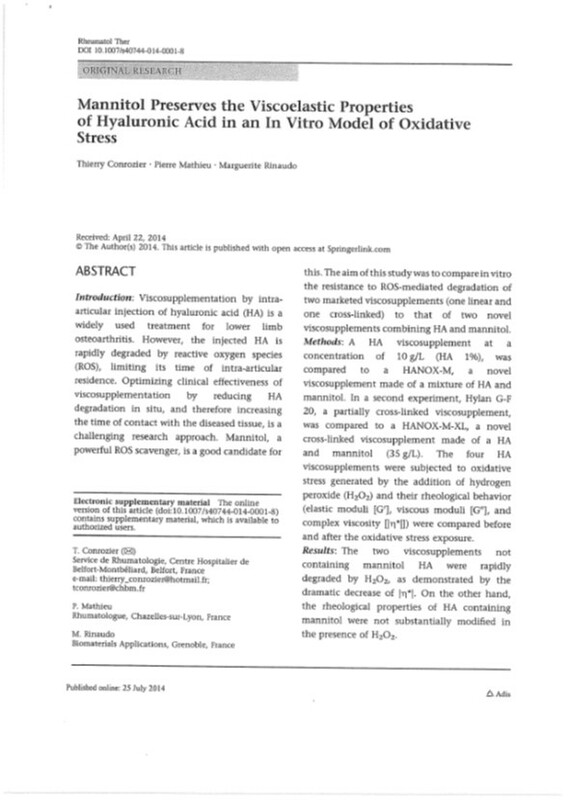 Intraarticular hyaluronic acid injection for the treatment of reducing and nonreducing disc displacement of the temporomandibular joint. 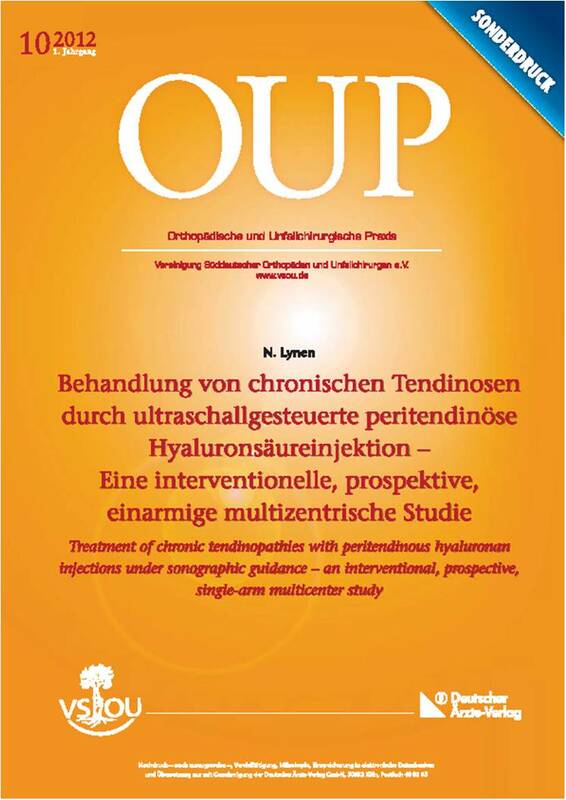 N Lynen, et al. 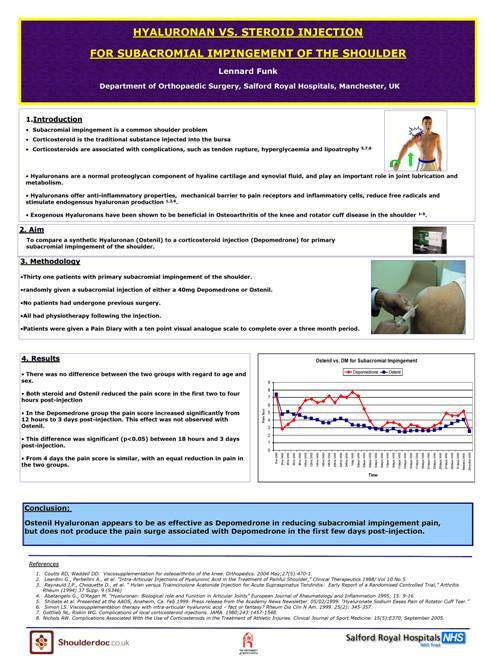 Comparison of peritendinous hyaluronan injections versus extracorporeal shock wave therapy in the treatment of painful Achilles tendinopathy: A randomized clinical efficacy and safety study. 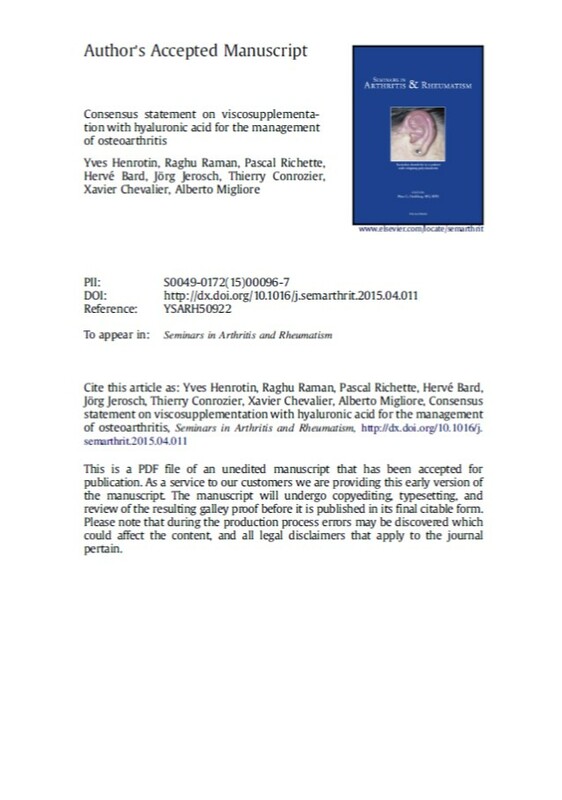 F Meloni, F Milia, M Cavazzuti et al. 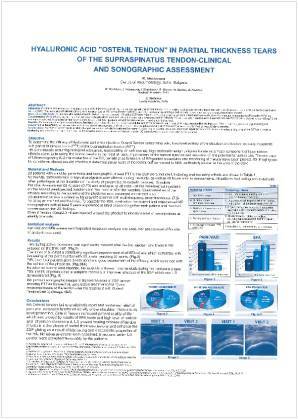 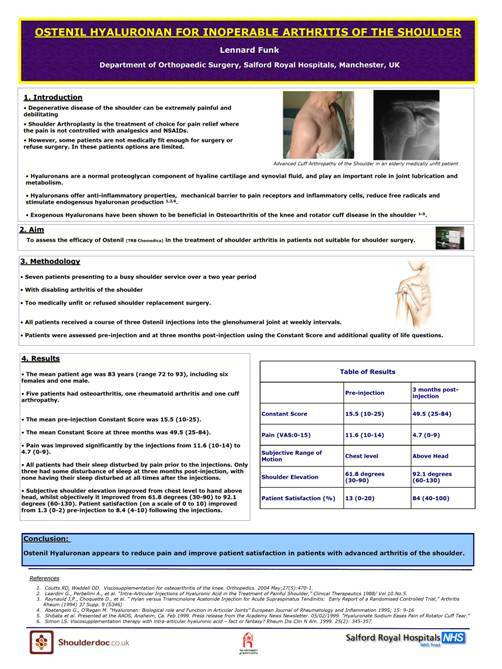 Clinical evaluation of sodium hyaluronate in the treatment of patients with supraspinatus tendinosis under echographic guide: experimental study of periarticular injections. 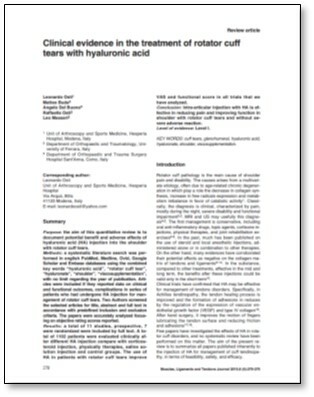 T Kumai, et al. 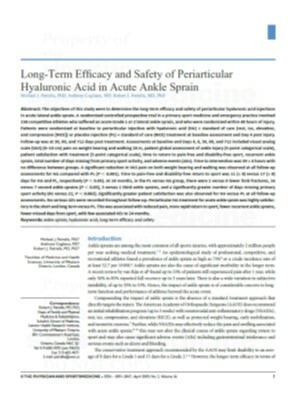 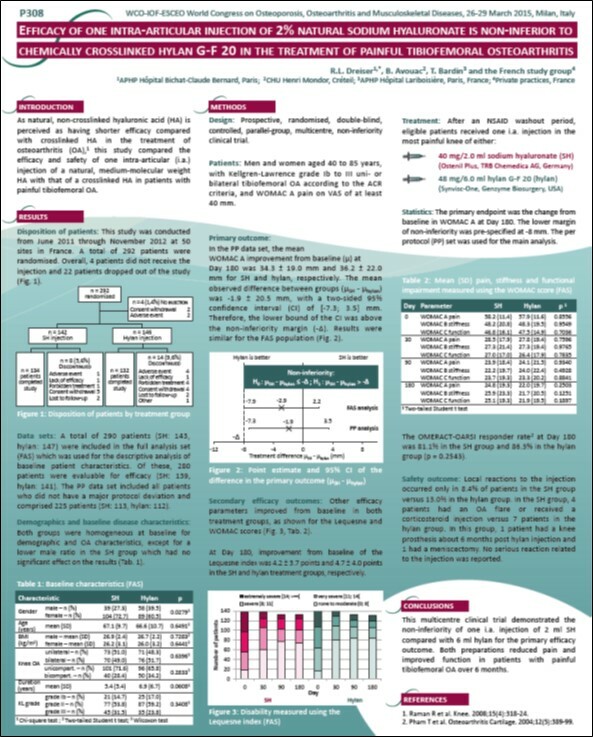 The short-term effect after a single injection of high-molecular-weight hyaluronic acid in patients with enthesopathies (lateral epicondylitis, patellar tendinopathy, insertional Achilles tendinopathy, and plantar fasciitis): a preliminary study.